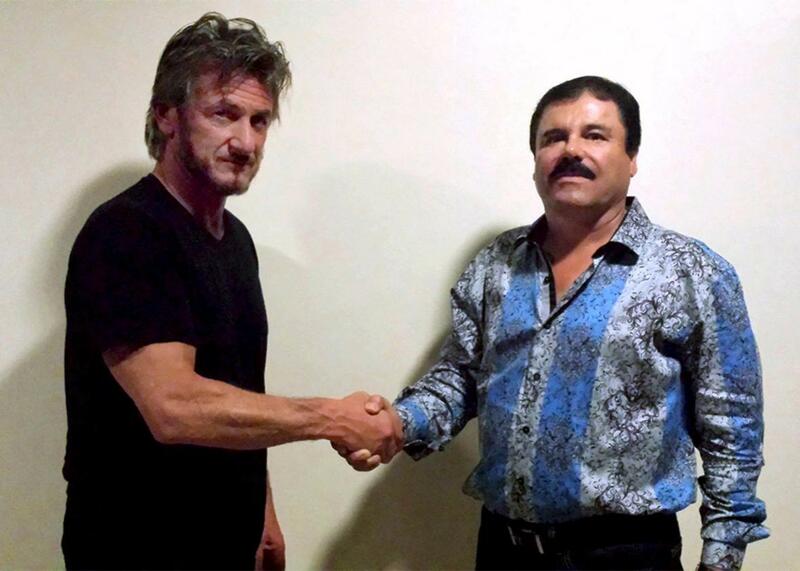 El Chapo's psychedelic button-down shirts in his Sean Penn interview: Where he gets them. The notorious Mexican drug kingpin Joaquín “El Chapo” Guzmán’s interview with Sean Penn raised a number of important questions: How did Penn get access to the drug lord in hiding? Did the rambling Rolling Stone piece that resulted conform to journalistic ethics? And where does El Chapo get those hideous shirts? The images that accompanied the Rolling Stone article depicted Guzmán in several garish button-downs that represent a distinct stylistic turn from his previous “soiled tank top” look. Flamboyant and colorful, they look like something that would be worn by Nick Kroll’s douchebag character Bobby Bottleservice. And now TMZ reports that the small clothing brand that produces the shirts is capitalizing on El Chapo’s fashion sense. In a video interview accompanying the Rolling Stone article, El Chapo wears an aqua paisley explosion that would not have looked out of place on ’70s-era David Bowie. That would be Barabas’s “crazy paisley,” touted by the company as “definitely one to wear on a night on the town.” Shaking Penn’s hand in a photo taken at their first meeting in October, the kingpin wears “fantasy,” a shiny floral with wide, asymmetrical blue stripes. Both go for $128. Barabas is now touting the connection on its website with a photo of Guzmán and Penn, emblazoned with the words MOST WANTED. Apparently it’s working: TMZ reports that the site initially crashed thanks to all the attention. This raises a whole new spectrum of marketing possibilities for clothing brands preferred by other villains, big and small. Is it time to revive the Cosby sweater? Where does Martin Shkreli get his polo bro-shirts? But perhaps the bigger question is for El Chapo himself. Why would a guy with perhaps the world’s greatest reason for wanting to blend into his surroundings choose a fashion style that is the literal opposite of camouflage? Maybe the same reason he chose to be interviewed not by a journalist but by an A-list movie star and desperately wanted to be involved in the making of his own biopic. El Chapo is clearly not interested in blending in.